This week I am finishing up writing a long overdue article on surface collections from the Poverty Point site in northeast Louisiana that Louisiana Archaeology will publish this fall. Poverty Point, nominated for a World Heritage Site listing, is one of the earliest examples of monumental architecture in the Americas. The Louisiana Archaeology article will interpret the provenience of artifacts from surface collections on the six C-shaped concentric ridges that at their ends extend 1200 meters along the Bayou Macon. The gist of the article is further demonstrating the socio-economic organizational complexity of the earthwork complex at 1800 B.C. The material basis for the project comes from the surface collections of Carl Alexander, an avocational archaeologist who collected artifacts at Poverty Point over a 25-year period when the site remained in private hands prior to public ownership in the 1970s. Alexander labeled the artifacts he collected with basic provenience information. The article I am completing this week would not be possible without the more than 100,000 artifacts collected and provenienced by Alexander. Before beginning the discussion of the artifact types, I wish to acknowledge the role of Carl Alexander in this article. Simply put, were it not for his work at Poverty Point in the 1950s and 60s the data on which this article is based would not be available. I don’t know Carl’s life details or his long-term passion for Poverty Point that kept him walking cotton fields year after year, picking up artifacts, and labeling where they came from by ridge and sector. What I do know is that his persistence allows us today to provenience in excess of 100,000 artifacts he surface collected in order to interpret the organization of prehistoric activities across the ridge system at the site. I believe the significance of Alexander’s contribution is equal to that of any other individual’s work or research project conducted at the site to date. Were Mr. Alexander alive, I would list him as a co-author on this article. I believe acknowledging the role of Alexander is of particular importance today. In the era of television programs such as American Digger and Antique Roadshow where cultural heritage is first and foremost measured by economic value, Alexander reflects a different measure. I found the same measure in conversation with Jerry Pankow, an avocational archaeologist who maintained meticulous field records and labeled artifacts from his salvage excavations at the Poverty Point culture Claiborne site in Hancock County Mississippi. I find the same measure in my current employment as Director of the C.H. Nash Museum at Chucalissa with the Memphis Archaeological and Geological Society (MAGS). 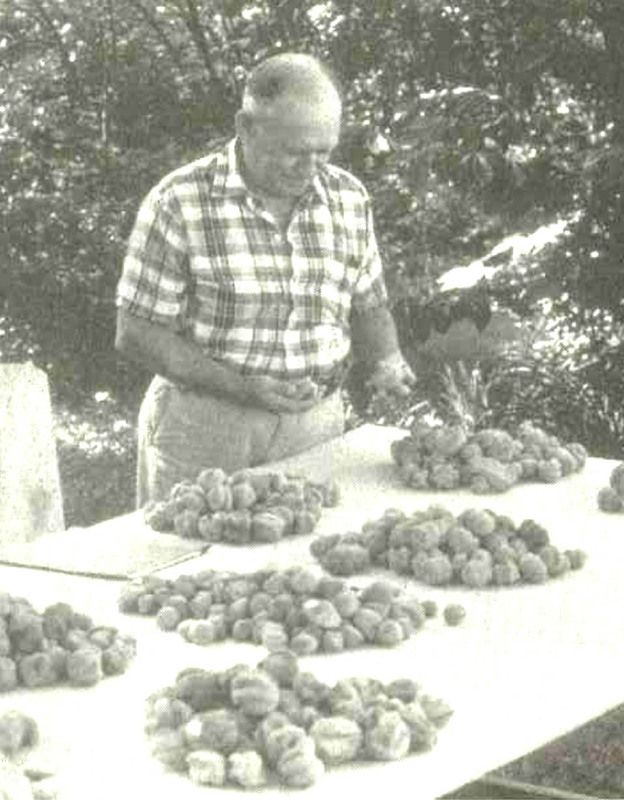 Despite professional archaeological excavations in the late 1930s, the first published report on the Chucalissa site was written by an avocational archaeologist, William Beaudin. He reported the first house excavation at the site conducted by MAGS, an avocational organization that formed in 1952 specifically based on interest in the Chucalissa site. Today, MAGS continues to provide critical support for the operation of the C.H. Nash Museum. Too often the role of nonprofessionals is selectively considered, focusing on poorly documented excavations, selling of artifacts, and other less than desirable activities. For Alexander, I don’t know the details of how his collections were divided into the three components in the 1968, but I assume that there was some exchange of money. I would not doubt that Alexander also sold other portions of his collections through time. I suspect that is how the Gilcrease Museum in Tulsa Oklahoma ended up with such a fine collection of Poverty Point materials labeled with Alexander’s ridge and sector designations. I raise acknowledging avocational work in these introductory comments for two reasons. First, I believe it is important to acknowledge those on whom one’s research is built. Second, the three examples of avocational archaeology I note above are outstanding examples of making the discipline of archaeology relevant to the public who pay the salaries and fund the facilities that curate our nation’s archaeological collections. Professionals must embrace these interests in a mutual collaboration, drawing on the strengths of all parties to further the preservation and presentation of our nation’s cultural heritage. Carl Alexander’s dedication to and knowledge of the Poverty Point site and his willingness to share with the professional community continues to benefit us to this day, and beyond. Today, many states in the U.S. have active programs where professional archaeologists work in concert with avocationals in training and research. The Society for American Archaeology presents the Crabtree Award each year “to an outstanding avocational archaeologist . . . (who) made significant contributions to advance understandings of local, regional, or national archaeology.” As we move toward organizing events for National Archaeology Day on October 20th, we must be certain to include the contributions of the many Carl Alexanders to our discipline. What positive avocational archaeology experiences do you have to share? Thanks for writing this. I wish I could find the author’s name. We need mush more cooperation between avocational archaeologists and professionals archaeologists. Not certain of which author you are referring to, buy I am Robert Connolly, who wrote this blog post. See the about link on the top right side of the page. Great post. It’s such a tricky issue, but one that needs to be acknowledged. Thanks for the insight. A buddy and myself are looking at ways to better utilize limited provenience collections in our area; so many get dropped off at the doorstep of local nature preserves, history centers, etc. Any good resources you could recommend? If so, an email would be much appreciated! Keep up the good work! Limited provenience collections can be inherently problematic. My experience has been that in combination with other collections, they can answer general research questions. I think that is the real key – if the material is only provenienced, say by county, to not ask questions that need a greater specificity. The Poverty Point case is a great example. Many a professional archaeologist and student I have dealt with over the years have completely dismissed use of these surface collections because they do not have precise provenience data – only by ridge and/or sector of the earthwork complex. A case in point – the flint raw material sourcing at Poverty Point is mostly a matter of guesswork. There are tons of these materials curated from surface collections on site. A few years ago, I suggested to a student using these collections to do a chemical constituent analysis that their academic department excelled in. I assured the student such an article would be published. Ultimately, they rejected the proposal as the precise excavation provenience was not known, though there was no question that the material was from Poverty Point culture contexts at the Poverty Point site. That is, the student wanted a level of provenience information that was not even required by the research question. By the way, that project is still out there to be done. I am also a big fan of using such collections for educational purposes. We have developed a hands-on archaeology lab at the C.H. Nash Museum where visitors are able to handle these materials that we have deaccessioned to our educational collections. These materials provide a fantastic opportunity for a high quality educational opportunity for students. We have developed several formal educational programs around projectile points from such collections. I shall try to explain my experience after reading on Poverty point. I met a painter (not artist). His house is in Kalady on the banks of River Periyar. He has been collecting Neolithic? Celts and other antiquities from the exposed river terrace near his house for nearly 25 years and conduct exhibitions and recently donated some of his collection to a government museum. Perhaps the old terrace has been exposed due to incessant sand mining and monsoon rains annually. My brief explorations were preceded by visits by certain officials and Mr. Ali takes off from his routine job of painting to share information and attend seminars. His collections have been studied by many but not by expert prehistorians. If Poverty Point waited for fifty years for an academic publication despite having much details in the original report what will happen to Ali’s collections? I am more concerned about the modest collections at U.C College Archaeological museum. I am in charge of this museum now and am in the process of documenting it under the Indian Ministry of Culture’s National Mission for Monuments and Antiquities Project. I found little supportive data on provenience of the finds and we use crude methods such as calling up old teachers and students who were involved in the operations in 1970s, 80s and 90s. Do you have any suggestions to improve the system? I stumbled upon your blog post here as I was doing a search on articles about Carl Alexander. He was my great uncle and a remarkable man of great talent, experience and wisdom. I recall vividly all of his work with Poverty Point and his vast collection of artifacts. Not only was Uncle Carl a great avocational archaeologists, but he was an accomplished photographer, horticulturalist and seasoned Navy veteran. I loved him dearly and admire him to this day. I’m glad you wrote this and especially glad that I found it. Thank you. I do not know the dates of birth or death for Mr. Alexander. I am still at Chucalissa and would enjoy your visit. Thanks for your kind words about the blog post.